With something like this, there are numerous things to consider. First off, how is the video quality? Well, it’s professional and modern, so it’s top-notch. The same applies to the audio quality. I guess once you get past those two things, it comes down to the performance. Alanis Morissette and her band are all seasoned professionals, so you can be sure they put on a great show. There is zero question about that. Ultimately, it comes down to what you think about Morissette’s music in general. Personally, I’ve always felt that she struggled to redefine herself once she got “happier” because her sound on the first album was based so much on anger. The truth is, though, while that older material is stronger (as I think) or not, she’s talented and this show works because of that (among other factors). The range of material is wide (meaning both stylistically and in terms of sections of her career). 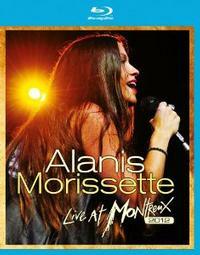 This is really quite a great document of what Alanis Moressette live is all about.